Tired of loosing valuable samples? Are you missing out on valuable laads because you can't track who has been in to your store? If this sounds like you - EziSample is your solution. EziSample is a simple to use contact management and price book database all rolled into one. 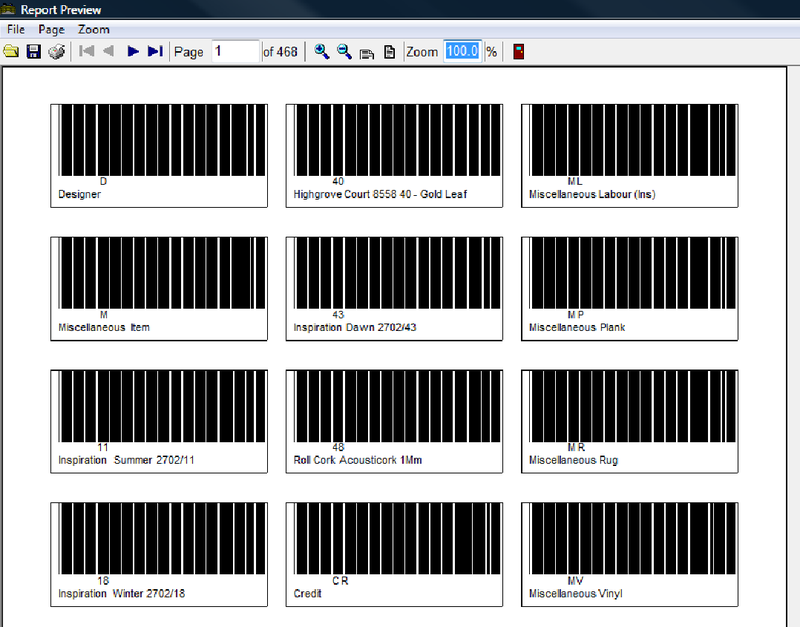 EziSample allows issuing and tracking of shop samples via barcodes that are scanned using a hand-held barcode scanner. Appro dockets can be printed for the customer with or without prices showing any specials or promotions running at the time of issue. Return dates for the sample return can be set, or overwritten at issue time. 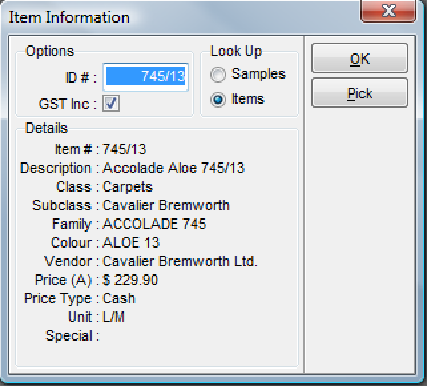 Reporting allows you to see who has what sample, when it is due for return and the price it was issued at. What does EziSample look like? EziSample is a software program that runs off a desktop PC. All information is accessed off tabs on one screen for ease of use. Reports and Price Book updates are accessed from drop down menus. Samples can be printed onto any size label using any standard off-the-shelf laser printer. Special scuff-proof sticky labels can be purchased that stick to difficult surfaces like the hessian backing of carpet samples. When your customer walks through the door, you take basic information from them (minimum requirement is a name and phone number). number). You then point at the barcode on the sample using the hand held barcode scanner. This scans the barcode and sets a return date that the sample is due back (the date can be overridden at time of issue if required). The barcode can alos be used as a price check tool that displays inclusive or exclusive pricing. If the product is part of a promotion or special, the price listed is that price during that special propmtion...no need to re-label anything! An Appro docket is then printed listing the sapmles taken, when they are due back and the price they were issued at (the price may be suppressed if required). Should any of the samples be part of a promotion or special, then the price printed is the price during the special. 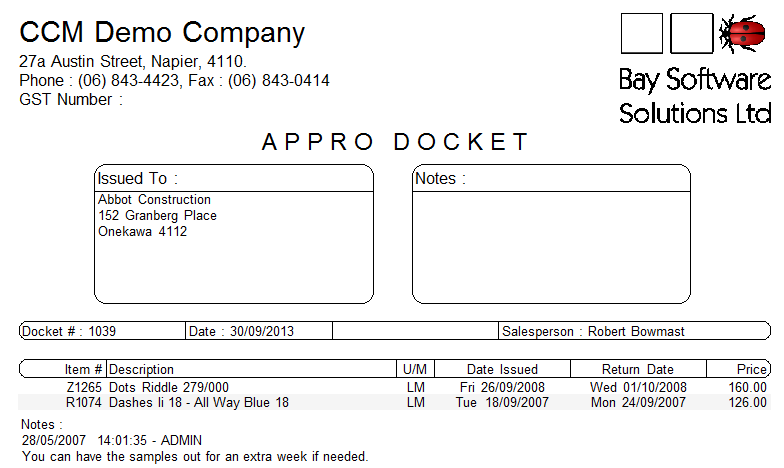 The name and dates of the promotion are listed clearly on the Appro docket. What can I do in-house? Click here to download the promotional leaflet for EziSample.